Have you ever sat down to relax only to notice yourself pick up your phone or laptop a couple minutes later to play some random time killing game or simply scroll aimlessly through your Facebook news feed? This is basically something we do to distract ourselves and we don’t even know it. We keep ourselves from truly just doing nothing. But why? 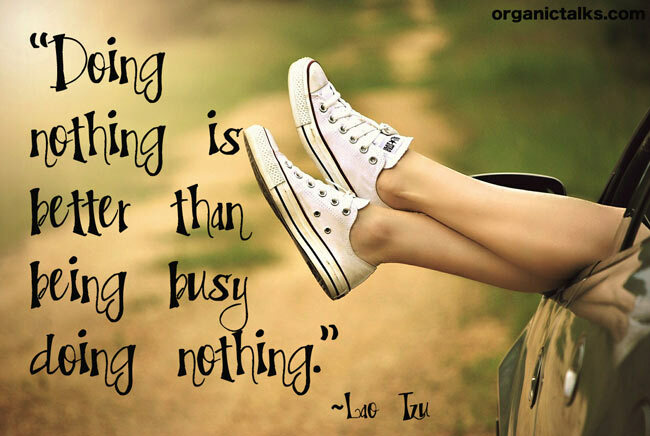 Why do we stay so busy even when we are doing nothing? You could say it was the natural progression things flowed in, but at the same time I wanted to take a break and literally just do nothing for a few weeks, or even a whole month. But part of me just can’t let that happen. I either feel guilt or worry that I should be doing more.Making sure things are flowing smoothly with CE or making sure I answer all my emails or prepare for the next project on the go. The list could go on forever if I let it. Then I started to look into the whole thing, why do I feel comfortable when I’m busy? Simply put, I was so busy for so long that it became a habit! My mind and body got used to having a lot of things on the go at once in order to manage all that was happening, and although some time was taken along the way to relax, taking extended periods of time to do nothing was not happening in my life for a solid 2 years. As I wore myself thin, I saw it taking longer and longer to do tasks that generally took me no time at all. It was as if suddenly I was no longer a well oiled and maintained machine because I wasn’t taking the time to let the baby rest!